After 17 years of negotiations, the Chinese market is open to Dutch veal. Ekro, the subsidiary of the VanDrie Group, is the first European veal slaughterhouse to receive approval to export veal products to China. Ekro, the subsidiary of the VanDrie Group, is the first European veal slaughterhouse to receive approval to export veal products to China. This signifies a breakthrough in the 17-year negotiation process concerning the export of Dutch veal to China. Initially, only boneless veal will be allowed to cross the border. The Chinese Premier Li Keqiang and the Commerce Minister Zhong Shan visited the Netherlands this week. 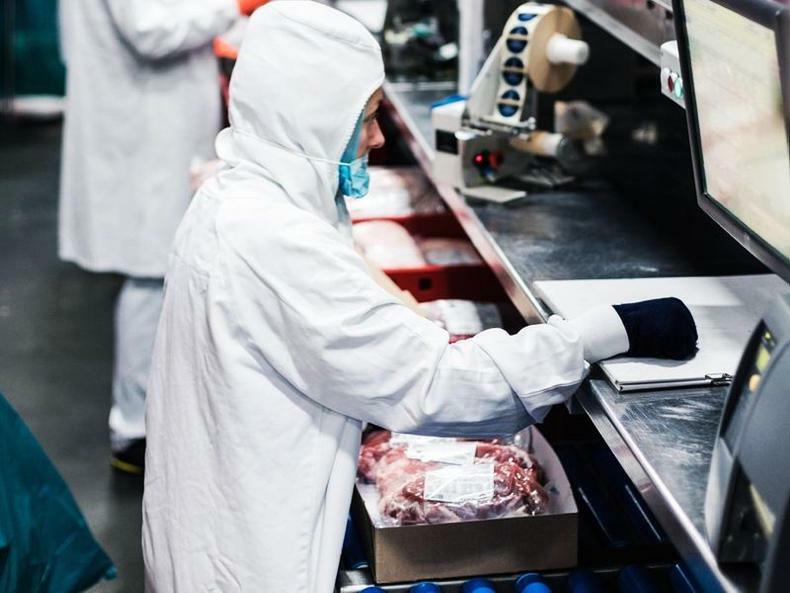 The Chinese government had authorised the Netherlands Food and Consumer Product Safety Authority (NVWA) to perform the final required inspection at one veal producing company. Ekro is shipping the first veal order to China this week. Henny Swinkels, director of corporate affairs at Ekro, says the Netherlands has a good reputation in the field of nutrition in China. “With our quality system Safety Guard, we provide unique guarantees for the Dutch veal products that we deliver, such as quality, tracking and tracing and food safety. Chinese consumers find these elements very important. It is now up to us to familiarise the market with the product,” Swinkels said. He commended the Dutch embassy and its agricultural attaches in China, the NVWA and the chief veterinary officer on achieving the breakthrough. The EU is set to allow the UK to further delay Brexit beyond the current departure date of this Friday, 12 April. The EU heads of state will meet in Brussels on Wednesday to decide what they will do, but a draft document reportedly contains an agreement to extend the Brexit deadline, pending some conditions. These conditions include holding European Parliament elections. Earlier on Tuesday, members of the British parliament voted in favour of Prime Minister May's plans to delay Brexit until 30 June. The motion was approved by 420 votes to 110. On Tuesday evening, May met with French president Emmanuel Macron in Paris after meeting German chancellor Anglea Merkel in Berlin earlier in the day. European Council president Donald Tusk has proposed a longer delay to Brexit than 30 June, writing in a letter to the heads of state that there was little reason to believe that a deal could be completed by the end of June. He suggested a delay of “as long as necessary and no longer than one year”. On Wednesday morning, the European Commission will decide on which Brexit measures to roll out in support for farmers. "I anticipate a mix of measures designed to suit particular circumstances and products – a mix of some or all of public intervention, private storage aid, withdrawal schemes and targeted aid will form a package of supports," European Commissioner for Agriculture Phil Hogan said on Monday. The UK prime minister wants more time to pass the withdrawal agreement, as the Central Bank warns of the risks of a no-deal Brexit to Irish agriculture. 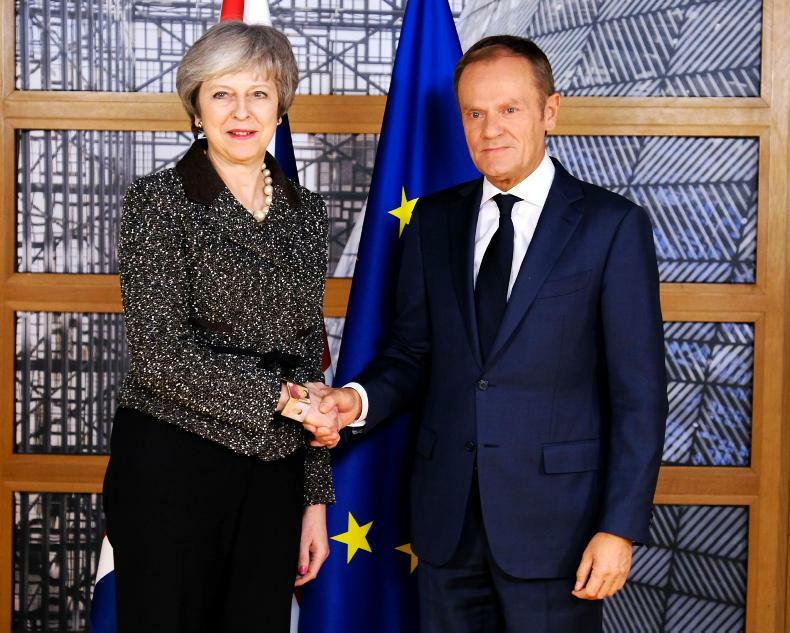 UK prime minister Theresa May has written to European Council president Donal Tusk to request an extension until 30 June to pass the Brexit withdrawal agreement. Under the current deadlines agreed between the European Council and the UK government, the UK was supposed to pass the agreement last week and stay in the EU until 22 May to organise its exit accordingly, or reject the agreement and crash out on 12 April. British MPs have voted to reject both the agreement and crashing out. 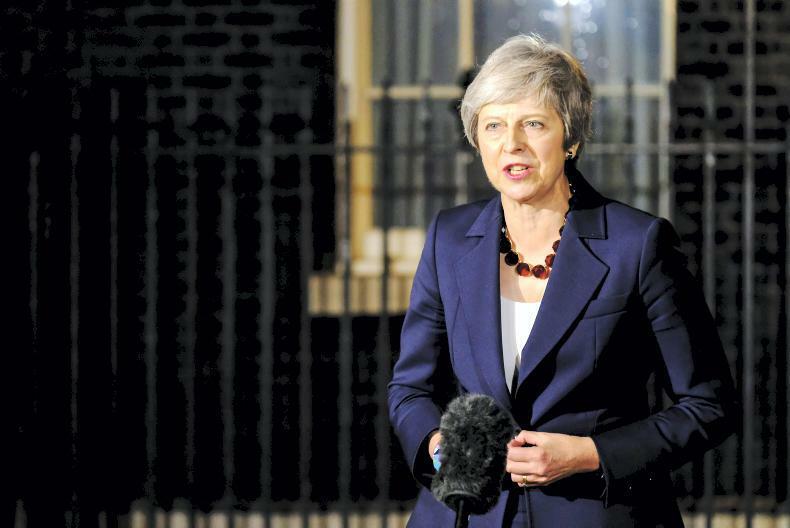 Prime minister May this week started talks with opposition leader Jeremy Corbyn and wrote this Friday to President Tusk that "the government is determined to bring this process to a resolution quickly". If this is successful, she warned that implementing the agreement in domestic law would take time and the UK may need to stay in the EU until 30 June to achieve this and leave the EU in an orderly manner. This raises the issue of UK participation in the European election next month. EU leaders rejected a previous request from Prime minsiter May for a late June extension last month for that reason. They are set to hold a special Brexit meeting of the European Council next week to discuss the situation. Meanwhile the Central Bank of Ireland said in its latest quarterly bulletin this Friday that its economic growth forecast of 4.2% this year and 3.6% next year was based on the asumption of a Brexit deal. "This would not be the case for a disorderly, no-deal Brexit, however," the bank warned. "Certain sectors and regions would be disproportionately affected, particularly agriculture and food sectors as well as border regions and other rural regions with a heavy reliance on agriculture and a particular reliance on the UK as an export market." Jobs in the agri-food sector would be most severly hit. The Central Bank's forecast is also based on the sterling exchange rate remaining stable at €1=£0.88. However the bank warned in its previous bulletin in January that a no-deal Brexit could cause the value of sterling to fall by 10%, bringing it to €1=£0.97 and causing an equivalent rise in the price of Irish agri-food exports for British buyers. European Commissioners have said they are working with Irish officials on how animals and livestock products would be checked at the border in a hard Brexit, but did not explain how it would work. European Commission vice-president Jyrki Katainen has promised EU assistance for Ireland to check animals and food entering the Republic from Northern Ireland. "We’re working very closely with authorities from Ireland to clarify the situation. 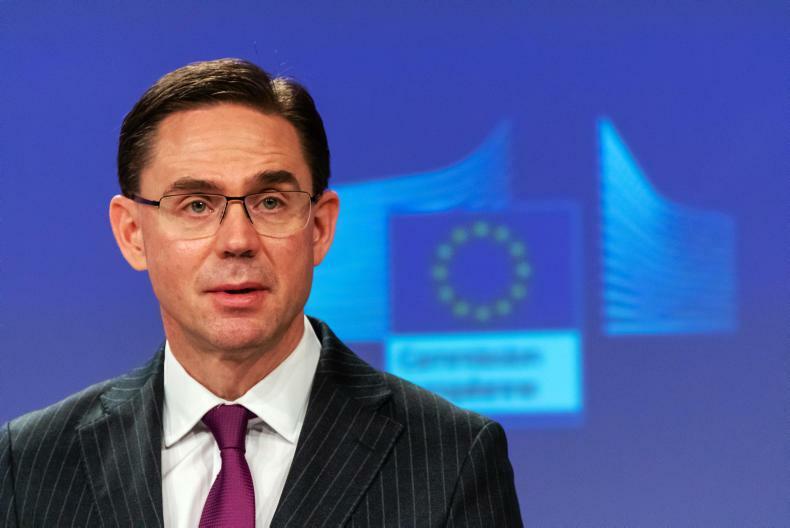 The Commission is ready to make additional resources available to Ireland, both technical and financial, to address any challenges," Katainen said on Thursday. "The idea is of course to makes sure that the peace agreement is respected, there is no hard border, and necessary checks on product safety are made or carried out in the least possible disruptive manner, away from the border if at all possible," he added. Katainen said the "number one issue" was to respect the Good Friday Agreement. "The second thing is that we have to make sure that products entering the EU territory are safe and they comply with our quality and safety standard," he added. This follows similar comments by European Commissioner for Economic and Financial Affairs, Taxation and Customs Pierre Moscovici on Wednesday. Moscovici said the imposition of EU checks on imports from the UK would be "immediate" after a no-deal Brexit and apply to "all entry points into the European Union". "Whatever happens, we have been clear since the start that the Good Friday Agreement will continue to apply in all circumstances," Moscovici said – though in his speech, this came second.